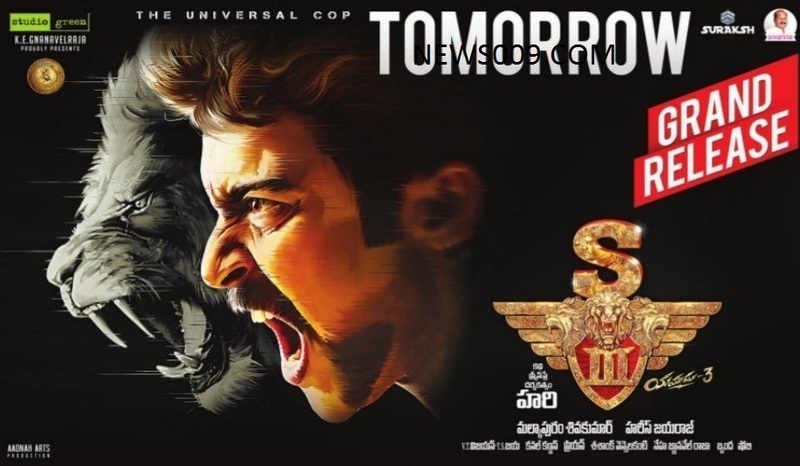 Suriya Telugu, Tamil Movie Singham 3 Total Worldwide Collections, Another Disaster. Singham 3 is new movie of suriya which is 3rd series of singham. Other last 2 series are hits at box office and got good response for its high intense action of police officer role of suriya. Singham 3 was released in february and got average response and said as movie for only masses and action lovers. It has collected around 60 crores share and 100 crores gross worldwide with both telugu and tamil languages but as movie was sold to distributors for high price of 90 crores, It remained as loss venture for buyers even after getting 60 crores.